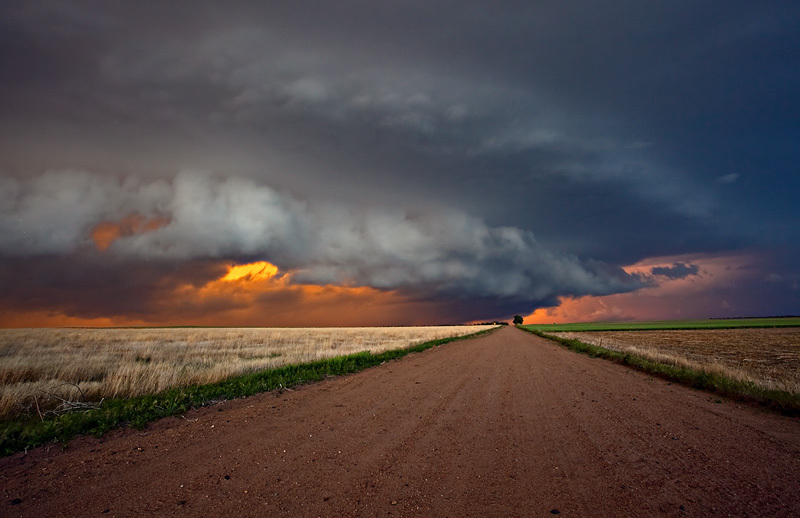 Tornadic supercell at sunset in western Kansas, May 11, 2014. 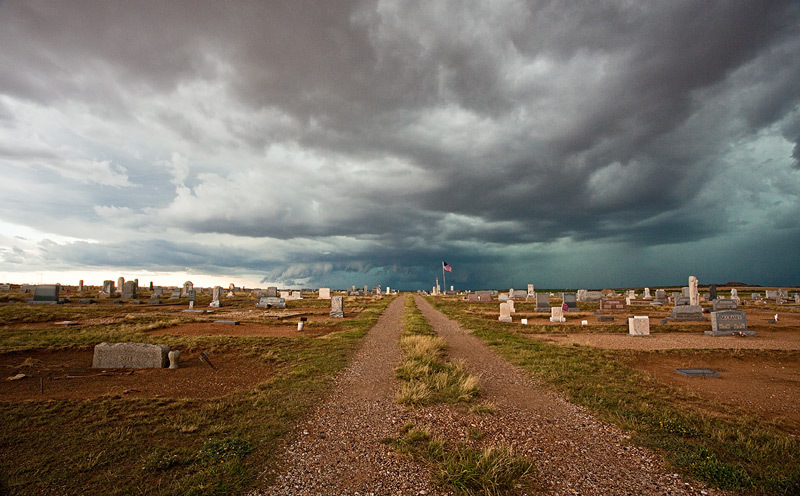 Every May, I set aside a week or so for an annual trip to Tornado Alley in search of monster storms and tornadoes. As has been my (lack of) luck the past couple years, tornadoes have been in bit of a drought this year, and despite being near tornado-warned storms 6 of the seven days that I have chased so far this May, I came up short in catching any photogenic tornadoes. For the last segment of my trip, I drove nearly seven hundred miles southward into Texas, only to see the one photogenic tornado of the day hit way up in North Dakota. 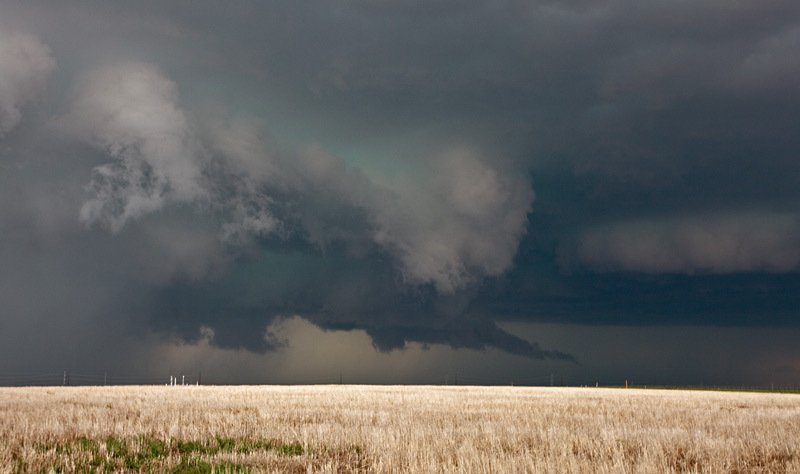 Such are the trials and tribulations of storm-chasing…it aint Twister! I warmed up my season with a one day solo trip into western Kansas, where I caught this beautiful storm at sunset. Then, for my official week of leave, I teamed up with a coworker from the Pueblo National Weather Service, and we headed up into the Nebraska Panhandle, then into the Denver area of our home state. The highlight of that trip was intercepting this monstrous storm just outside the Denver metro area. After a day off back in Pueblo, I hit the road solo once again, and played the upslope in southeastern New Mexico, then the Midland, Texas area. The first couple days were a bit of a dissapointment, but my final day took me down to San Angelo for this amazing storm that developed near Andrews, tracking southeast towards the Texas hill country. Despite the massive numbers of storm chasers and local gawkers on the road, the storm put on quite a show, with terrific structure and a rain-wrapped tornado (which I could not photograph!). Highlights of that intercept below. Hopefully Ill get another chance or two on days off this June to get out for another shot at the elusive twister! 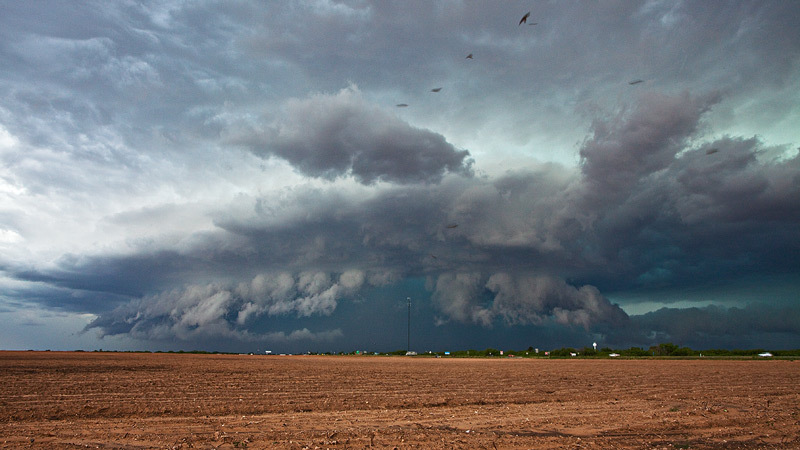 Birds ride the rising air currents surrounding this monster storm. 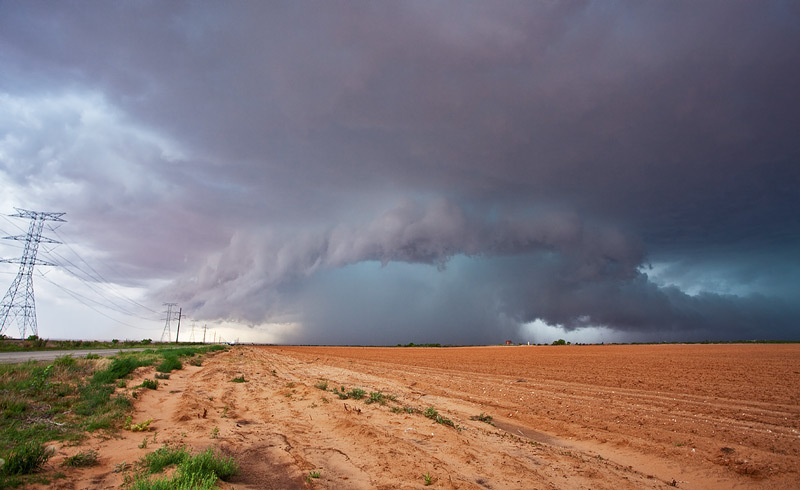 Massive storm charges through Texas farmland. 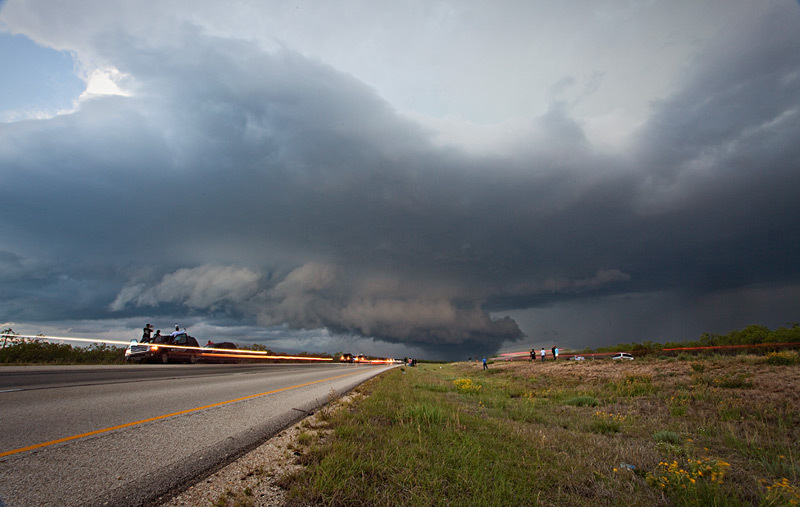 Chasers line the road as the monster supercell marches eastward. 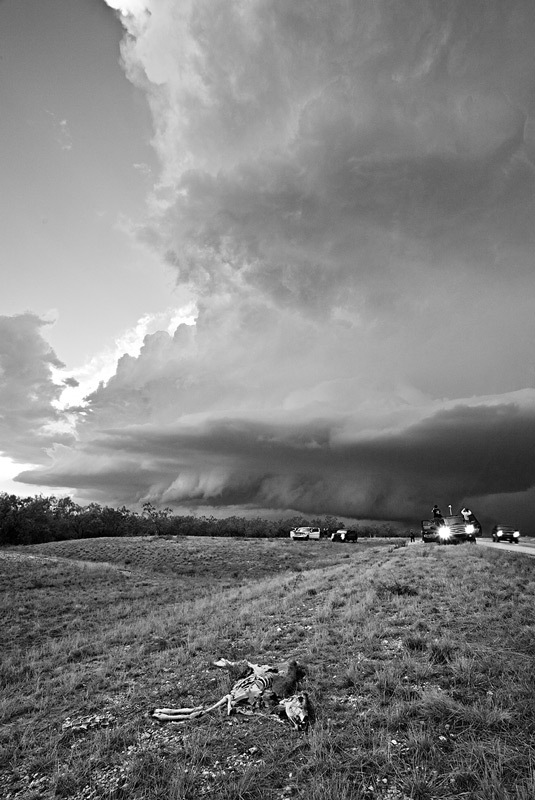 Massive tornadic storm marches down highway 87 in central Texas, May 26, 2014. Deer carcas in foreground, thousands of storm chasers on the road. Nice work Stan. The foreground parts of most these images are impressive to go along with the spectacular skies. I never realized how popular storm chasing has become. Looks like fun! Thanks Michael! Yes–fun and frustrating!